Just as my twin sister, Miel, disentangles her finances from her recent divorce, I feel like I’m starting from scratch again with our budget. After my family bought our dream house and Hubby got his dream job, now it’s my job to create a new budget. In hindsight I know that I should have done this months ago, but I was too busy unpacking, settling in, paying contractors, and celebrating the holidays. Now nearly six months after our move, I am finally ready to create our new family budget. The good news is that I have an awesome budget template to start from…it’s actually one that Miel helped me create for this blog five years ago. 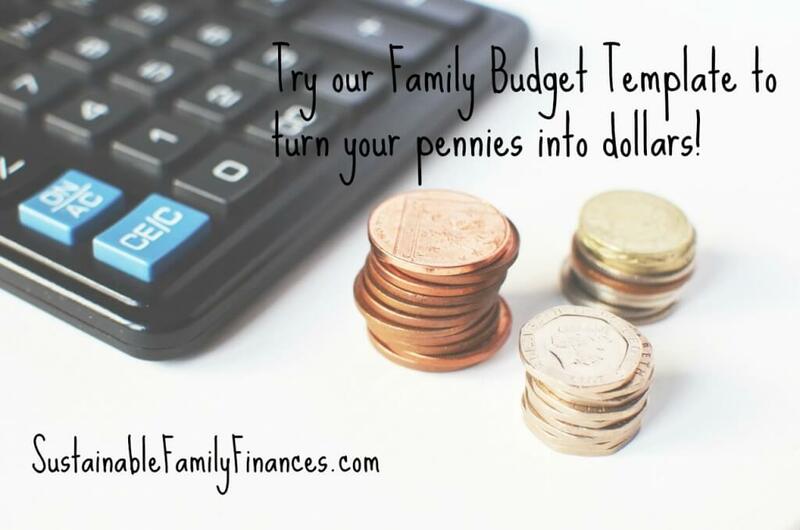 We made the budget template specifically for families and all the expenses that come with them. It’s also easy to personalize our budget template. It’s nice to see that it’s still as valid and important of a tool. I know that my family will benefit from the time and energy that I put into creating and consistently updating our budget. When I’ve been really “good” at updating it, we’ve been able to save more quickly than I ever imagined. Truthfully, it’s been a source of tension lately, since we don’t have a current calculation of our exact monthly bills, which changed a fair amount when we moved. We also spent a toooon of money on home repairs when we first moved in, which I’ll save for another post soon. Yet, I know that I also have mixed feelings, not wanting to focus on our lack of money and to plan for things that our current budget doesn’t actually allow for. That’s where I think gratitude comes in, and by acknowledging how you are currently providing for your family makes a difference. To put things in perspective, I was in the grocery store when I overheard a Dad saying to his son how he had to work for an hour to earn $10, enough to buy a gallon of milk and a loaf of bread. Even when money might seem tight, I know that practicing gratitude helps me feel abundant. Have you used our budget template? Do you update it daily, weekly or monthly? PS I’m going to post a Google Doc version for everyone else who has moved their finances to the cloud, like me. This entry was posted in budgeting, Yippie on January 12th, 2016 by Darcy Cronin.